The 2018 season of the IMSA Porsche GT3 Cup Challenge USA by Yokohama will be contested on eight of America’s most iconic, challenging road courses, including one circuit that will be making its long-awaited return to the schedule after eight years. As in 2017, the Porsche GT3 Cup Challenge USA will travel from the East Coast to the West Coast, from the Great Lakes to the Gulf of Mexico, showcasing the potent purpose-built Porsche 911 GT3 Cup race cars, with drivers who range from talented series rookies to seasoned veterans. The 2018 season kicks off as it traditionally has – at the world-famous Sebring International Raceway in Sebring, Florida, March 14-16. The Porsche GT3 Cup Challenge USA will run two 45-minute events at the 3.74-mile road course, leading up to the 66th Mobil 1 Twelve Hours of Sebring Fueled by Fresh From Florida endurance race for the IMSA WeatherTech SportsCar Championship. The Sebring races typically set the tone the Porsche GT3 Cup Challenge USA field for the remainder of the season, and that was certainly true for 2017. 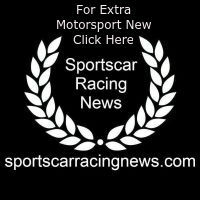 From Sebring, the series moves west to Barber Motorsports Park, located at the eastern edge of Birmingham, Alabama, and is scheduled for April 21-22. Barber’s winding, dipping, rising 2.38-mile circuit, Porsche Sport Driving School’s home track in the U.S., rewards driver finesse and experience, a slightly different skill set from what’s often needed to meet Sebring’s challenges. The third venue on the 2018 schedule hasn’t been part of the Porsche GT3 Cup Challenge USA season since 2010. Mid-Ohio Sports Car Course in Lexington, Ohio, will host the series May 4-6. Drivers and teams have long been asking for a return to the Midwest staple, and they get their wish next spring. Mid-Ohio replaces the Circuit of The Americas in Austin, Texas, on the 2018 schedule. From Mid-Ohio, it’s off to one of the few tracks that has an even longer history of American sports car racing: Watkins Glen International, in Watkins Glen, New York, hosts the Porsche GT3 Cup Challenge USA June 28-30. Dating back to 1956, The Glen’s gorgeous 3.4-mile track is a perfect match for the Porsche 911 GT3 Cup race car. The fifth venue of the 2018 season is Road America in Elkhart Lake, Wisconsin. At four miles in length, Road America is the longest circuit on the schedule and undeniably one of the hardest to master – it has long straights and tight corners, and everything in-between that can tax the best-prepared car and most-experienced driver. 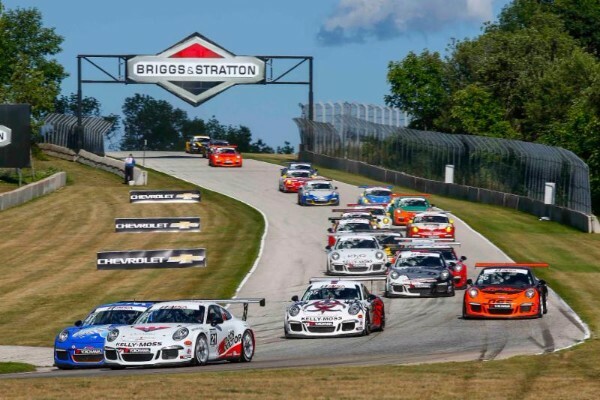 The Porsche GT3 Cup Challenge USA visits Road America Aug. 3-5. After Road America, the series travels southeast to VIRginia International Raceway in Alton, Virginia, Aug. 17-19, another perennial favorite with drivers and fans. An important track when it opened in 1957, VIR closed in 1974, and many racing fans feared that it was lost forever. But it reopened to well-deserved fanfare in 2000, beautifully updated and undeniably one of the best road courses anywhere for spectators, with multiple fan-friendly areas that offer great views of the action. From VIR it’s a cross-country trip to Sonoma Raceway in Sonoma, California, where the versatile road course will host two races on the weekend of Sept. 14-16. Then it’s back across the country for the season finale at Road Atlanta in Braselton, Georgia, on Oct. 10-12. As in previous years, including 2017, the final two races for the Porsche GT3 Cup Challenge USA will take place as part of the Petit Le Mans weekend, which is the season finale for the IMSA WeatherTech SportsCar Championship. Located near Porsche’s U.S. headquarters in Atlanta, the venue is the perfect place to decide the season championships. The Porsche GT3 Cup Challenge USA by Yokohama is one of the largest of Porsche’s 20 single-make Cup Challenge series in the world. Racing in the Porsche GT3 Cup Challenge USA by Yokohama is divided into two classes – Platinum Cup, featuring the new-for-2017 Porsche 911 GT3 Cup car, and Gold Cup, which is comprised of the previous iteration of the race car. A Masters Championship also is conducted in the Platinum class. Each class is recognized with its own podium at the end of every race and individual champions at the end of every season.